Ships tomorrow if you order in the next 23 hours 14 minutes. Auto Ship & Earn + 130 Points What's this? Your overall health is only as good as the health of your cells. These bulding blocks of life are constantly regenerating, replacing old ones to keep your body running smoothly. The key to optimal health is cell regeneration. ACR Regen Extra Strength is specially formulated to support cell regeneration and health. Its antioxidant and nutritive ingredients support total body rejuvenation, and provide the nutrients necessary for optimal cell chemistry and neuronal signaling. This allows cells to communicate with each other, so that your body processes work like they should. ACR Regen is the first supplement of its kind to provide specific nutrients for support of cell signaling and function. 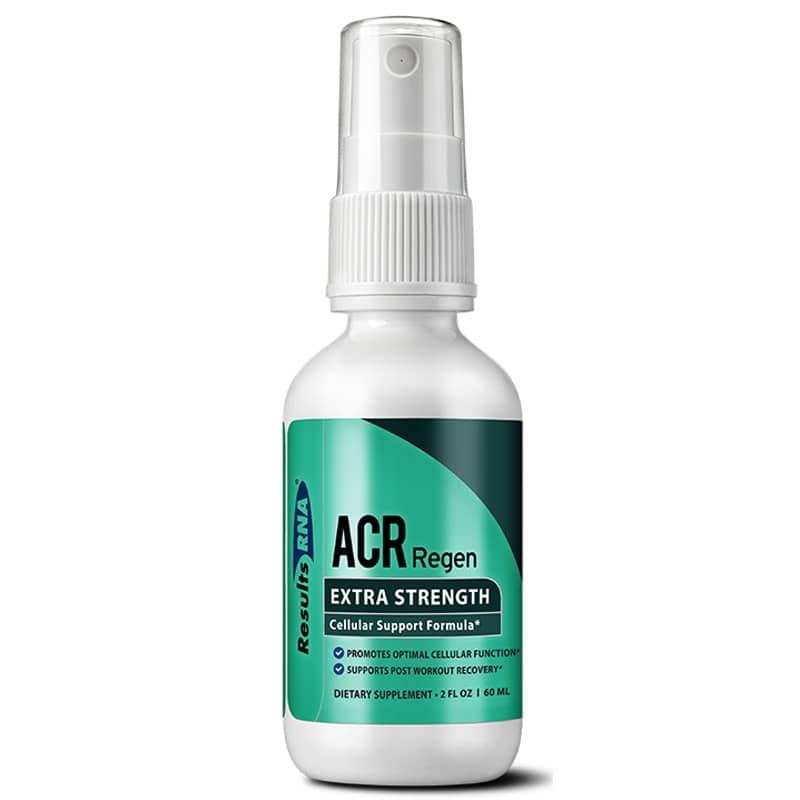 For optimal support, ACR Regen Extra Strength uses atomized oral spray delivery. This allows for immediate absorption and nearly instant bioavailability of key molecules at the cellular level. For your best health, start with your cells. Order ACR Regen Extra Strength today! Peptide Matrix, N-Acetyl-L-Cysteine (NAC, 2 Formulations), Acetyl L-Carnitine, L-Glutamine, L-Glutathione, Peppermint Leaf (Mentha x piperita) and Natural Minerals. Other Ingredients: Ultra-Pure Deionized Water. Medicinal Dose: Take 6 sprays by mouth, twice daily. Therapeutic Dose: Take 12 sprays by mouth, twice daily. Spray, swish and swallow. You may take other Results RNA formulas immediately. Do not eat, drink for 2 minutes following. Take as recommended by your physician.